A fascinating three-dimensional presentation provides the reader with an in-depth, hands-on exploration of a great white shark. 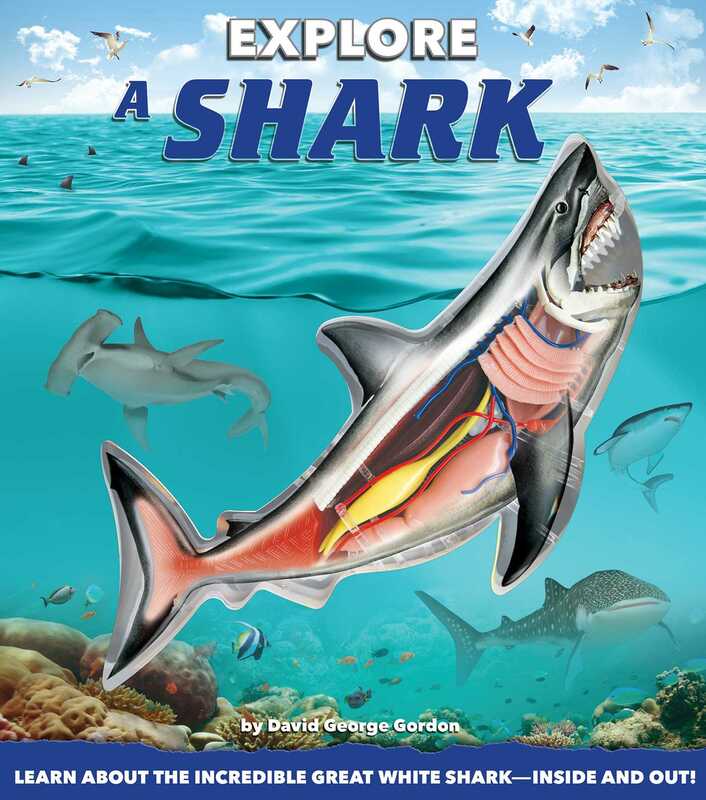 In Explore a Shark, a detailed three-dimensional format gives the reader a hands-on exploration of the most feared predator of the seas--the great white shark. This unique "model" can be deconstructed and rebuilt layer by layer, system by system, just by turning the page, so the reader can see how each part of the shark's body is connected to the others. By combining a 3-D model with informative text and illustrations, Explore a Shark helps children understand how sharks have come to rule the world's oceans. David George Gordon is the award-winning author of fourteen books on wildlife and wild places. He is a regular contributor to National Geographic Kids magazine and serves as the science writer for the Washington Sea Grant Program, a branch of the National Oceanic and Atmospheric Administration, headquartered in the University of Washington in Seattle. Gordon resides in Port Townsend, WA. Christian Kitzmüller is a freelance illustrator and art director who has been creating art for advertising, theatre and film posters, magazines, non-fiction children books, and more since 1987. He lives in Switzerland.